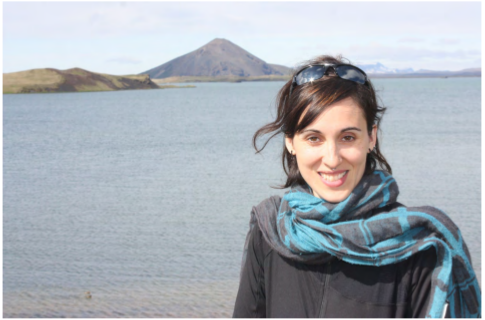 Please join us tomorrow in Burnside 934 at 14:35 for a student seminar by Melissa Gervais. Abstract follows. Precipitation is one of the most important variables to predict in future climate change owing to the socio-economic implications for water resources. However, it has historically been a very challenging variable for climate models to predict. 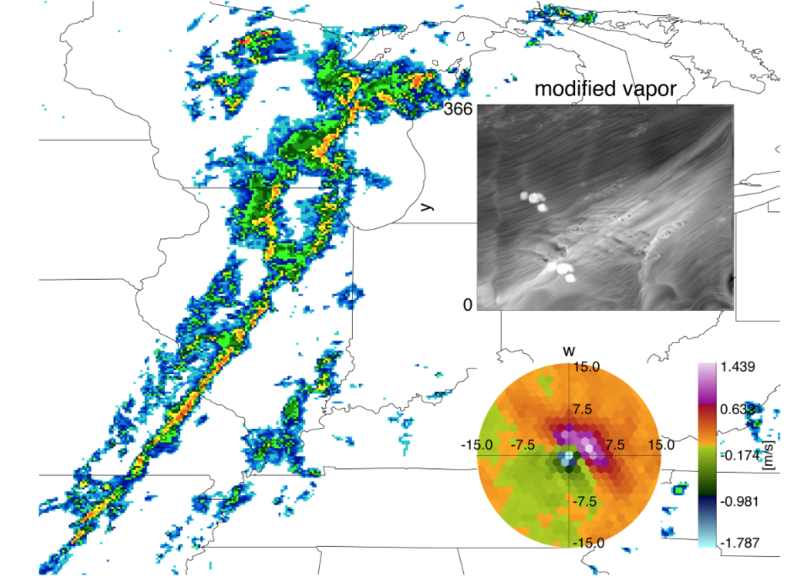 Newer versions of Community Climate System Model (CCSM) from the National Center for Atmospheric Research (NCAR) have seen great improvements in their representation of the distribution of precipitation, with results now very close to observations (Gent 2011). The accuracy of precipitation observations used to validate the GCM output is thus becoming increasingly important. Results will be presented from the first of two studies on examining the ability of observations, reanalysis, the CCSM4 fully coupled model, and the NCAR Community Atmosphere Model (CAM5), to represent the distribution of precipitation. Here, we focus on the accuracy of interpolating station data in terms of the method of interpolation and the station density. 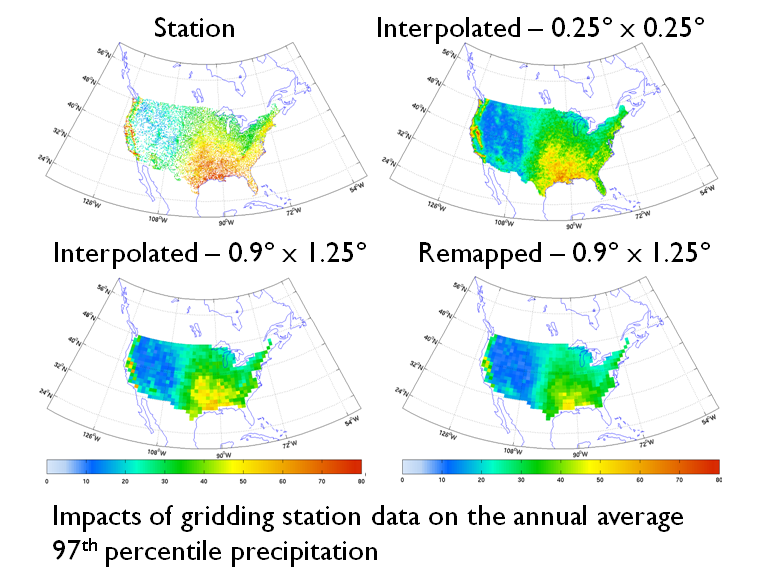 Station data from the Global Historical Climatology Network – Daily Version 1.0, within the United States, will be used to create and test gridded precipitation products. The goal is firstly to examine what the impact of gridding station data is on the precipitation statistics and whether the gridding method used is important. Secondly, an experiment will be conducted to determine how dense an observation network needs to be, in different climatic regions, in order to produce an accurate distribution of precipitation. This allows us to identify regions where station density is not high enough to trust the gridded precipitation data for validating GCMs. Published by Michael Havas on October 16, 2012 at 9:46 am under event, seminar. The traditional view that ocean heat transport causes warmer winters in Western Europe relative to those in western North America (e.g., Maury, 1855), was challenged in a provocative study by Seager et al. (2002). They offer the alternative hypothesis that the zonal asymmetry in Northern Hemisphere climatological temperatures is instead set by the orographically-forced southwesterly winds over the Atlantic Ocean, with the annually-integrated net ocean heat transport playing a small role. However, neither paradigm addresses the role of air mass trajectory versus ocean heat transport on the variability in Western European temperatures. 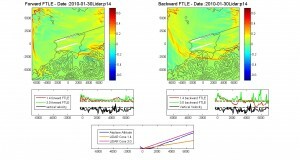 In this project, we quantitatively evaluate the source of wintertime temperature variability in Western Europe, examining the contribution of the trajectory of the air parcels arriving in Western Europe, the sea surface temperature (SST) over which these air parcels travel, and the role of the coupling between the two mechanisms. To tackle this question, a novel Lagrangian approach is used: we track air particles backward in time using the atmospheric dispersion model, FLEXPART (Stohl et al. 2005), driven with meteorological data from the National Centers of Environmental Prediction each January over the period from 1981 to 2009. The dispersion model is the appropriate tool to study this question because it accounts for turbulence in the planetary boundary layer. 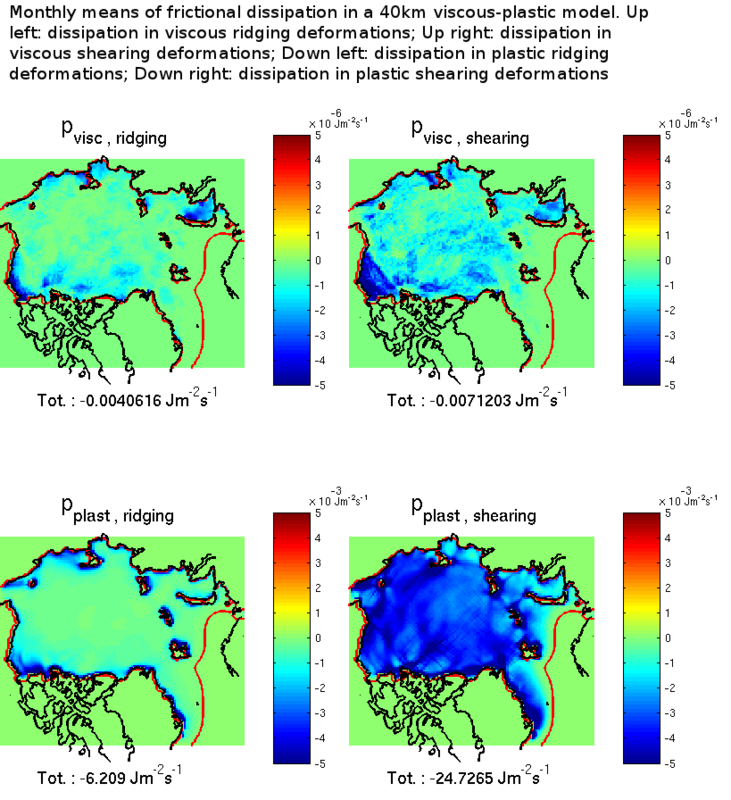 We then conduct a suite of idealized experiments that explicitly separates the role of SST and trajectory variability. Our preliminary results suggest that pathway variability is a much better predictor of interannual variability in the along-pathway heat fluxes than SST. However, SST also appears to be necessary in reconstructing the true heat fluxes on longer than interannual time scale. Published by Michael Havas on October 2, 2012 at 2:27 pm under event, seminar. Recent studies have shown that aerial disturbances affecting landing aircraft have a coherent signature in the Lagrangian aerial particle dynamics inferred from ground-based lidar scans. Specifically, attracting Lagrangian Coherent Structures (LCSs) mark the intersection of localized material upwelling with the cone of the lidar scan. Here we test the detection power of LCSs on historical landing data and corresponding pilot reports of disturbances from Hong Kong International Airport. We find that a specific LCS indicator, the gradient of the Finite-Time Lyapunov Exponent (FTLE) field along the landing path, is a highly efficient marker of turbulent upwellings. In particular, projected FTLE gradients closely approach the efficiency of the wind-shear alert system currently in operation at the airport, even though the latter system relies on multiple sources of data beyond those used in this study. This shows significant potential for the operational use of FTLE gradients in the real-time detection of aerial turbulence over airports. Published by Michael Havas on September 25, 2012 at 2:27 pm under seminar. The Department of Geography is happy to announce that they are kicking off the fall semester with an exciting series of talks as part of this year’s GeoSpectives Seminar Series, a ~bi-weekly lecture series hosted by the Department of Geography. This semester GeoSpectives talks will take place on Friday afternoons from 3:00-4:30pm in Burnside Hall room 426. For the full full schedule, please see GeoSpectives Poster Fall 2012. We will be sending out reminders for upcoming talks throughout the semester. Anthropogenic climate change has become an increasing international concern, as peoples globally are already experiencing dramatic shifts in weather, climate, and environment. These changes are adversely impacting human health, with some scholars identifying climate change as the most significant threat to global health of the 21st Century. Emerging research indicates that climate change, and the resulting environmental alterations, also pose serious challenges for mental health and well-being, particularly among resource-dependent regions, those living in rural, remote, or ecologically-sensitive areas, and Indigenous populations. Drawing on data from community-led research conducted in the Inuit community of Rigolet, Nunatsiavut, Labrador, this presentation will describe the pathways through which residents reported that climate change was negatively impacting mental health and health systems in the region, and highlight the need to work collaboratively with communities and regions to define research priorities, develop locally-appropriate mental health services, and design culturally-relevant adaptation strategies. Published by Michael Havas on September 6, 2012 at 9:52 am under geography, seminar. Dr. King-Fai Li of the Division of Geological and Planetary Sciences from the California Institute of Technology and Department of Applied Mathematics, University of Washington will be presenting a seminar today at 1pm in Burnside Hall 934. 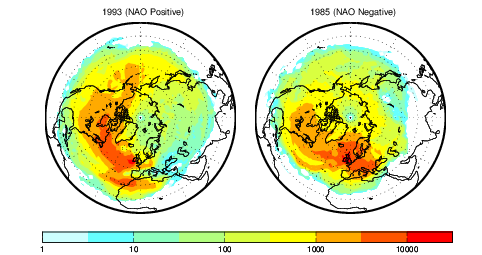 A persistent discrepancy between the model and observed stratospheric O3 solar response is revisited using the Whole-Atmosphere Community Chemistry Model (WACCM). The model O3 simulated using UV irradiances measured from the latest spaceborne solar UV measurements by the Solar Radiation and Climate Experiment (SORCE) and that from the solar UV parametrization developed by the Naval Research Laboratory (NRL) are studied and compared with observations. None of the simulations using SORCE and NRL UV simultaneously agree with the observed O3 solar response in both upper and lower stratospheres, thus presenting a dilemma to our current understanding of stratospheric O3 response to UV perturbations. However, the simulation using the SORCE UV irradiance leads to a solar response in upper stratospheric/lower mesospheric OH column that agrees better that those derived from ground-based and satellite observations. Continuous long-term observations of solar UV, OH, O3 and other related chemical species through upcoming solar cycles are crucial for further investigations to solve these above puzzles. Published by Michael Havas on September 5, 2012 at 9:37 am under announcement, seminar.